The last time that the Gers played a competitive game on Christmas Day was in 1971, with Colin Stein the match winner on the day in a 1-0 win. Rangers battled throughout the match and would have been happy to take a point after the performance, but the never day die of the side who fought right to the end were rewarding with all the points in front of 25,000 fans. 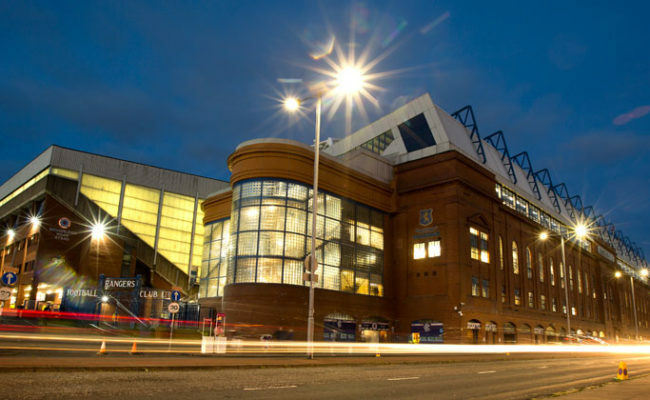 “It’s almost an Ibrox tradition that the game must be played to the final whistle, that the gambler’s last despairing throw can turn up trumps.” said the Glasgow Herald. “Every Scot worth his salt knows the story of Bruce and the spider. It was that same refusal to throw in the towel that saw Rangers through a tough test at Easter Road on Saturday,” said the Evening Times. With less than thirty seconds of the game remaining, Alfie Conn forced a corner and Tommy McLean flighted a perfect ball for Stein to head home a shock winner for the Light Blues. Peter McCloy was fantastic for the Gers throughout the match with a fantastic save from Alex Edwards in the forty-fourth minute of the match the turning point in the game. 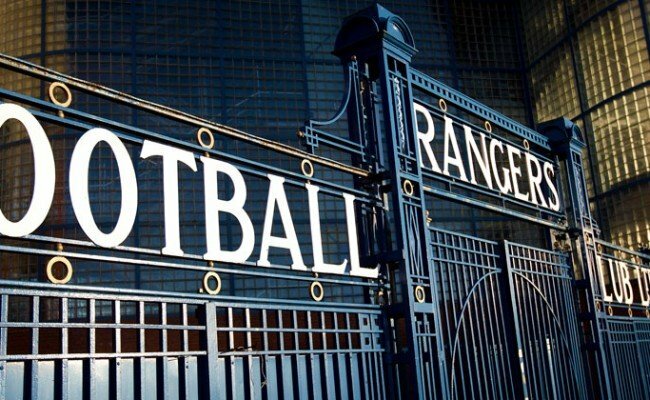 In 1873, Rangers Hal of Fame player Nicol Smith was born in Darvel, Ayrshire. Tragic barely begins to describe the story of Ayrshireman Smith who was undoubtedly one of the best players of the turn of the 19th century anywhere in the world. He was just 31 when he died of a gastric infection in 1905 and his death came just a matter of weeks after he had lost his wife to the same ailment. His team mates were shattered. The effect on them was considerable and his loss coincided with the break-up of the first great Rangers team. He had been a formidable player for Rangers because defensively he was so strong on the right side and he also regularly contributed in an attacking sense as his ability to pick out front players was considerable. Smith was already a Junior internationalist when Rangers signed him in 1893 having played for his local team Darvel among others and it didn’t him take long to establish his place in the first team. A powerfully-built player, Smith was wholly committed and always put the team’s cause ahead of his own personal safety. In his first season his impressive displays helped the Light Blues secure their long-awaited first-ever Scottish Cup triumph when they defeated Celtic 3-1 in the Final. Although hardly renowned for scoring, he had helped Rangers get there by scoring the opening goal in the 3-0 semi-final victory over Queen’s Park, who were holders at the time and had been the kings of the Scottish game. Smith was equally important in another landmark victory – the 5-0 league thrashing of Celtic on September 2, 1893 which remains Rangers’ best over their old rivals. There was an 8-1 rout on January 1, 1943 but like all wartime matches it is classed as unofficial. Smith was a key man when Rangers produced the perfect league championship victory in 1898/99 when they won all 18 of their matches. It is a record which is unlikely to be beaten and the loss of just 18 goals in that remarkable campaign is indicative of the importance of Smith to the team. Smith can also lay claim to a New Year’s Day goal against Celtic, scoring the first in a vital 4-2 win in 1902 which sent Rangers on their way to their fourth successive crown. Of course, medicine was not as advanced then and fate was to deal a cruel blow when in late 1904 Smith was struck down by enteric fever. It is something that it is eminently treatable now but he died the following January. 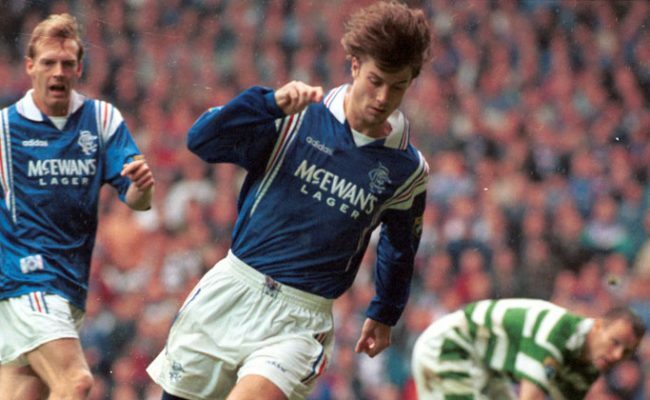 On this day in 1994, Rangers striker Duncan Ferguson signed for Everton on a permanent basis, after completing a three month loan period where he joined at the same time as Ian Durrant. Speaking a the time, Ferguson said: “I need first-team football, so I jumped at this chance. I want to show people I can still play this game.” Ferguson had played for Rangers 23 times and scored five goals since his move to the club from Dundee United.